Each love story is unique and deserves to be brought to life. What fascinates me is discovering your world and finding the right words and feelings to express it. 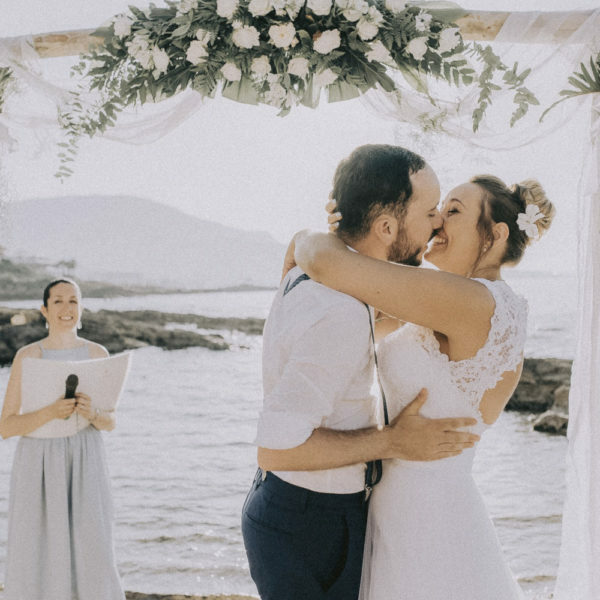 Not only do I want to provide couples with a beautifully written speech about their love story, but I want to give couples the chance to reminisce about all the amazing moments in their relationship, no matter how big or small those moments may be. Through our discussions, you will embody all the magic in your relationship, and perhaps fall in love all over again. Going beyond the creation, celebration and organization of a secular ceremony, we will approach the preparation for your marriage together through insight, thinking about you as a couple and the beauty of your love. I will guide you step by step, in a structured and personalized way. I will get to know you, so that your ceremony perfectly reflects you as a couple and the symbolism of your union. Thus, our trusting relationship becomes real chemistry. 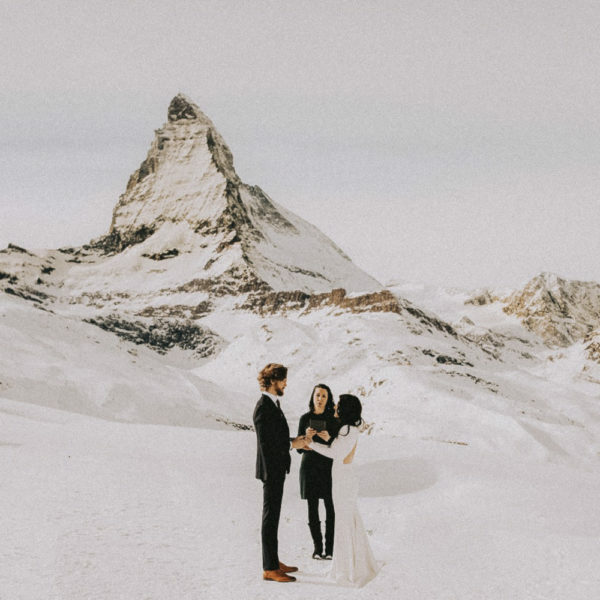 Are you leaving abroad and planning a destination wedding in Switzerland? We can handle the whole thing via Skype. 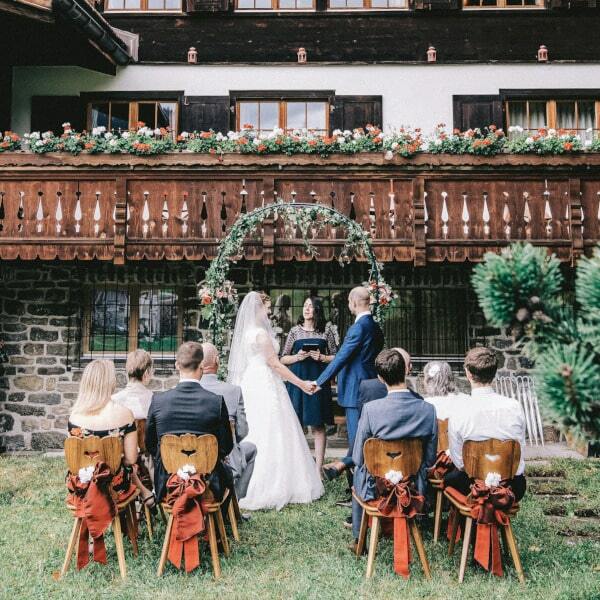 • My expertise to help you with the preparation and writing of your vows, and even with speeches for your loved ones. 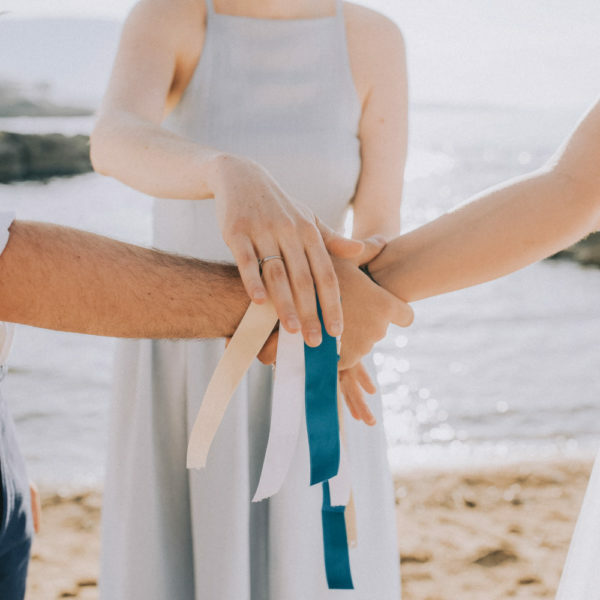 • The personalized theme for your ceremony: subjects, symbols and music are discussed in line with your personality, my intuition and your wishes. • A unique written ceremony script, 100% dedicated to your love story. You can then keep it as a beautiful book. 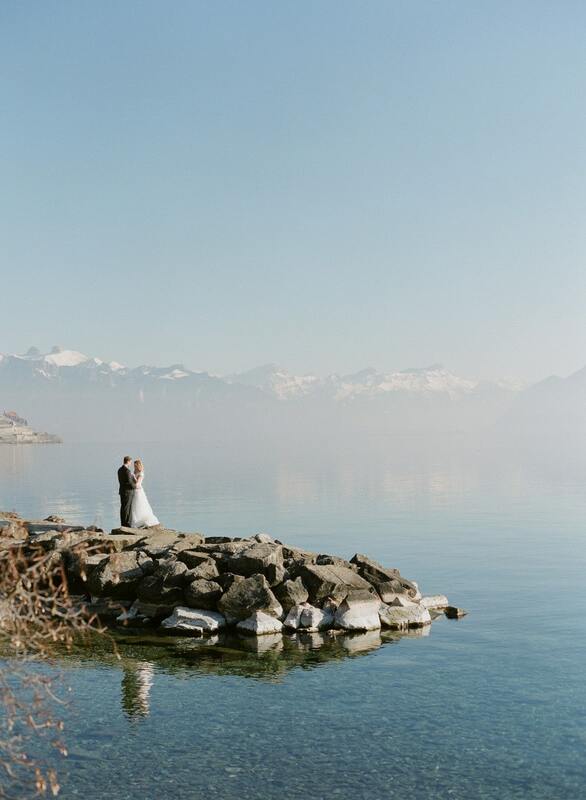 • Multilingual, I am happy to include English, Spanish, German, Italian, Portuguese or other languages for your secular wedding in Switzerland or elsewhere. • Open mindedness and curiosity: I like discovering different personalities as well as cultural diversity, their traditions and symbols. • Confidential and non-judgmental: we establish an open space enabling dialogue and a human relationship. • A quality-based approach, honoring a limited number of undertakings per season. Then I guarantee in-depth work with each couple that I work with. • A rigorous approach with an emphasis on every detail. Because the opportunity to successfully celebrate one of the happiest days of your life does not come along twice. • Sharing without limits. You can find my inspiring notes in the blog that I have been writing with passion since 2014. 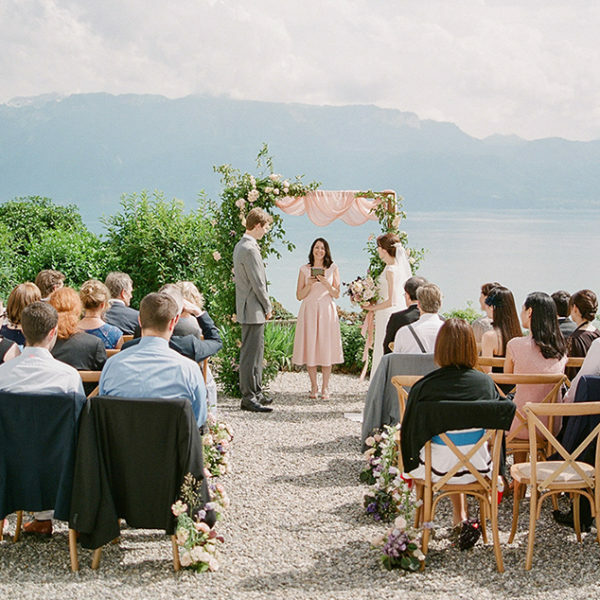 The venue for your ceremony is very important, as you are free to choose where you say “I do”. 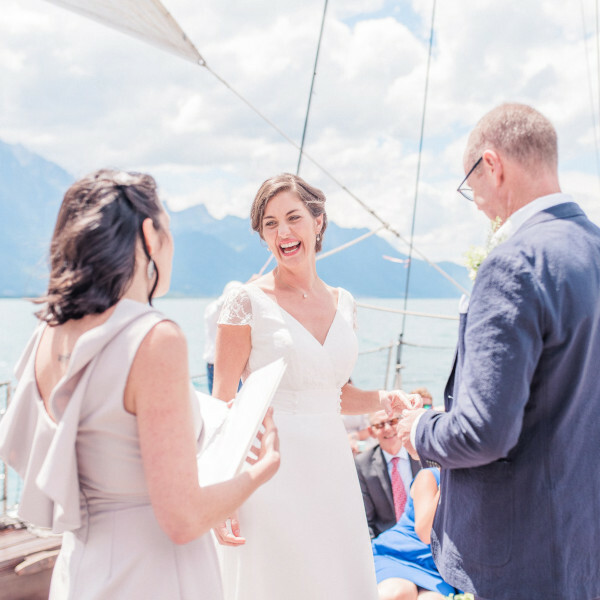 I have been fortunate to celebrate around a hundred ceremonies everywhere in Switzerland (Vaud, Geneva, Valais, Fribourg, Neuchâtel, Jura, Bern, Graubünden), France, Italy and Greece. I am ready to celebrate your love you wherever your heart takes you. In Switzerland, Europe and beyond..